It's fast and economical, plus you eliminate the capital, labor and inventory expenses that can be associated with doing it yourself. And turnaround time is no problem. 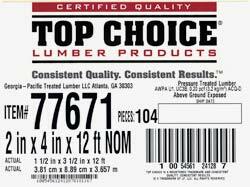 We can have your labels printed and out the door in 48 to 72 hours. Our Domino on-press inkjet system delivers excellent image quality and reliability. It's ideal for large- or mid-volume print runs that require imprinting like bar codes (1D and 2D), text, sequential number, expiration dates – virtually any job that requires variable data. The Domino operates at up to 250 fpm and provides up to 9.5 inches of potential print width. Print resolution can be up to 316x526 dpi. 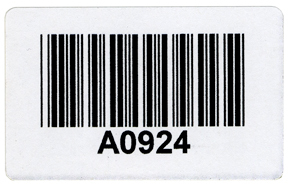 All bar codes are verified prior to shipping. 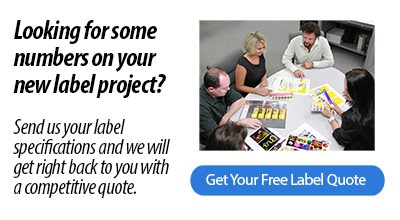 Give us a call and let us quote your next label printing project. We have the knowledge and capabilities to get your project printed on time and within your budget. 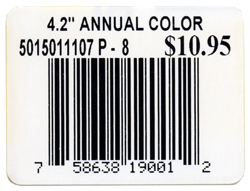 Whether you need a small run of UPC labels for your products or large format address labels for your lumber pallets, we have the right equipment to print your job. We have Zebra wide-format thermal-transfer and direct-thermal printers for small jobs, color ink jet printers for GHS and chemical labels, and our Domino on-press inkjet system allows us to imprint variable information of large label runs at high speed. And we guarantee that your job is done right to your specifications. Call us today for your quote!